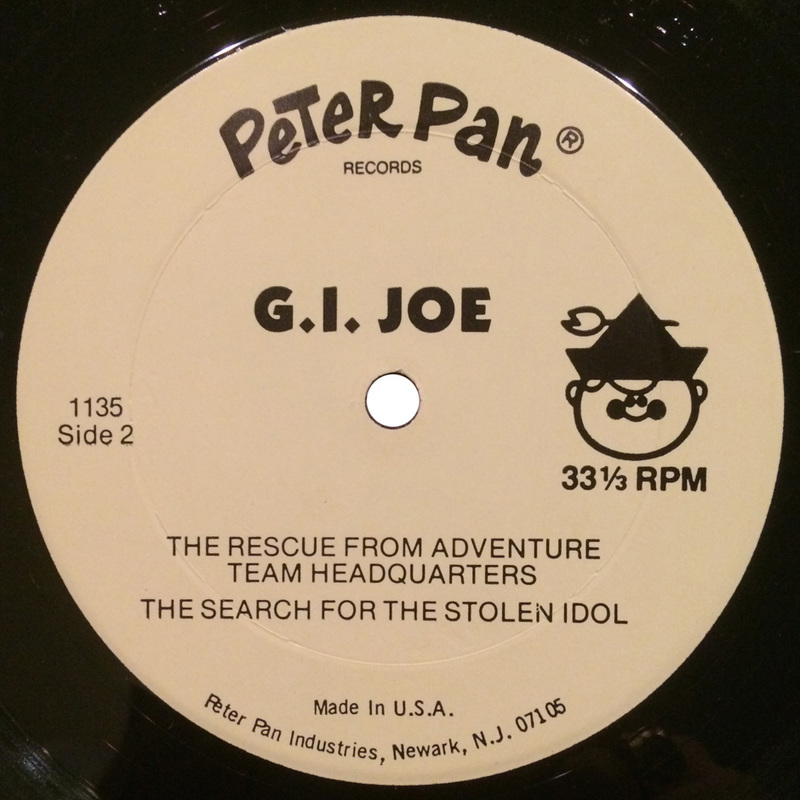 This undated record was released by Peter Pan Records, presumably under license from Hasbro. 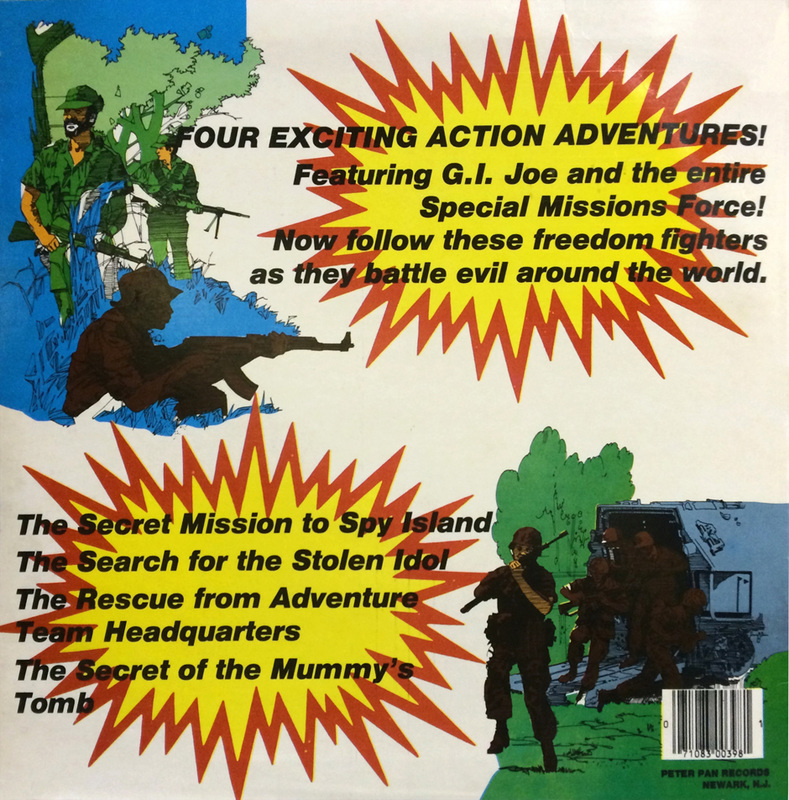 It is missing any copyright info that would usually help us nail down the release date. 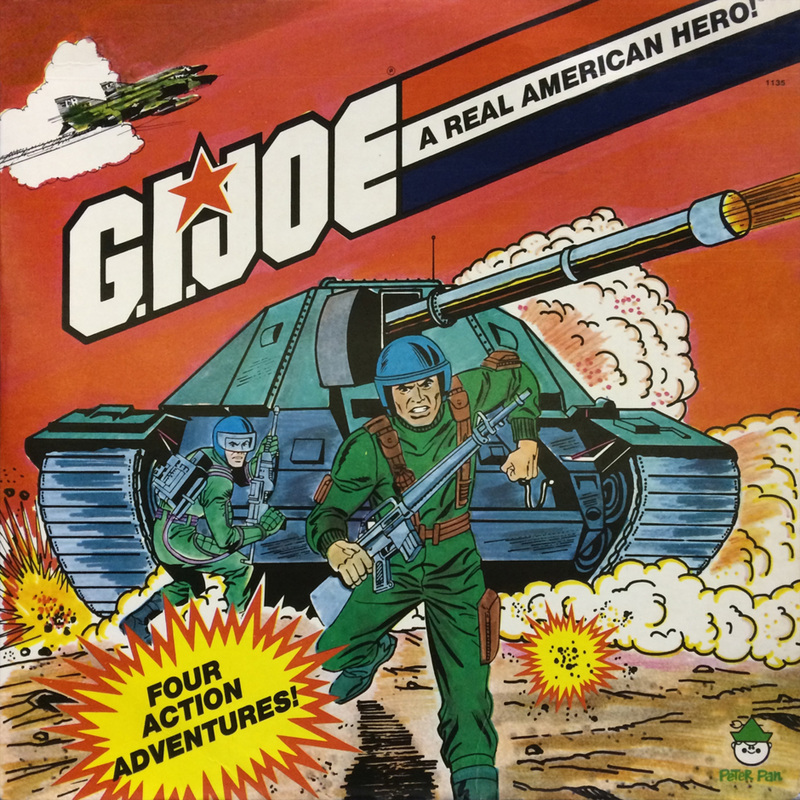 The album art is interesting. The front cover draws heavily from Grunt and Flash's 1982 card art as well as the MOBAT from the 1982 Official Collector Display Case. 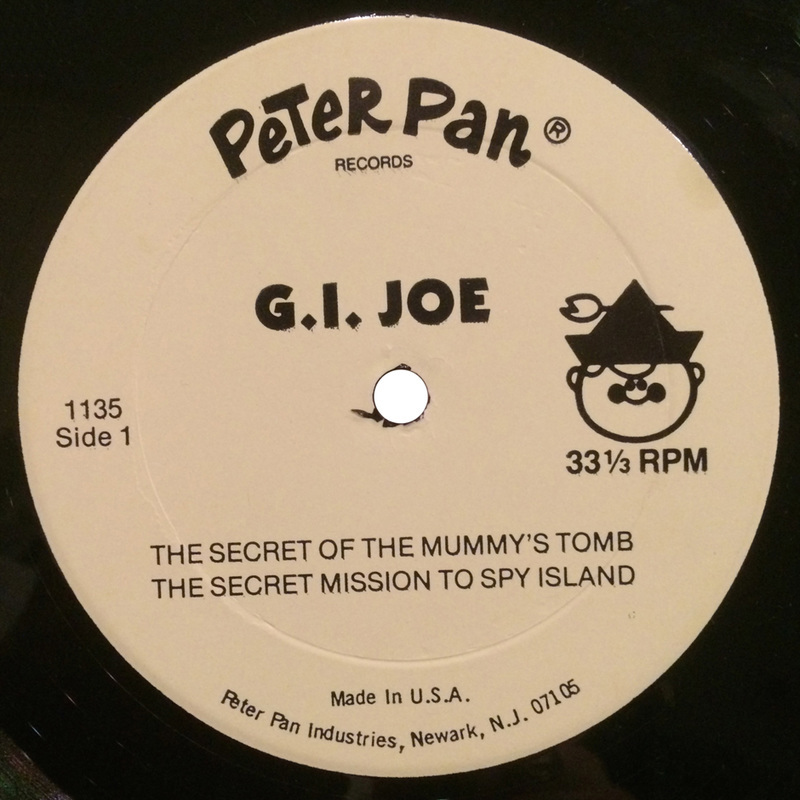 So, our best guess is that this was most likely produced in 1982, or shortly thereafter. 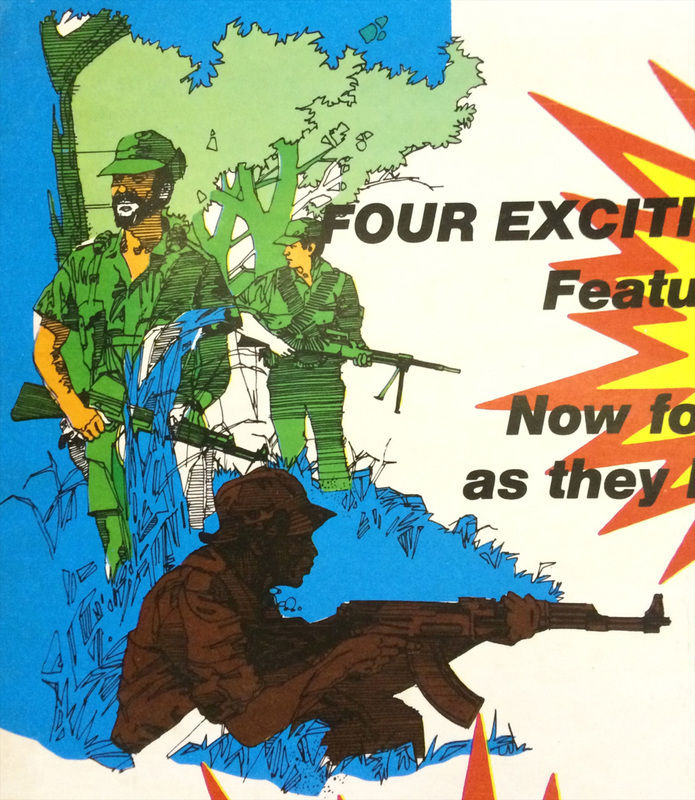 The back cover features some "green shirts" in a Vietnam era jungle setting, judging by their boonies (jungle hats). 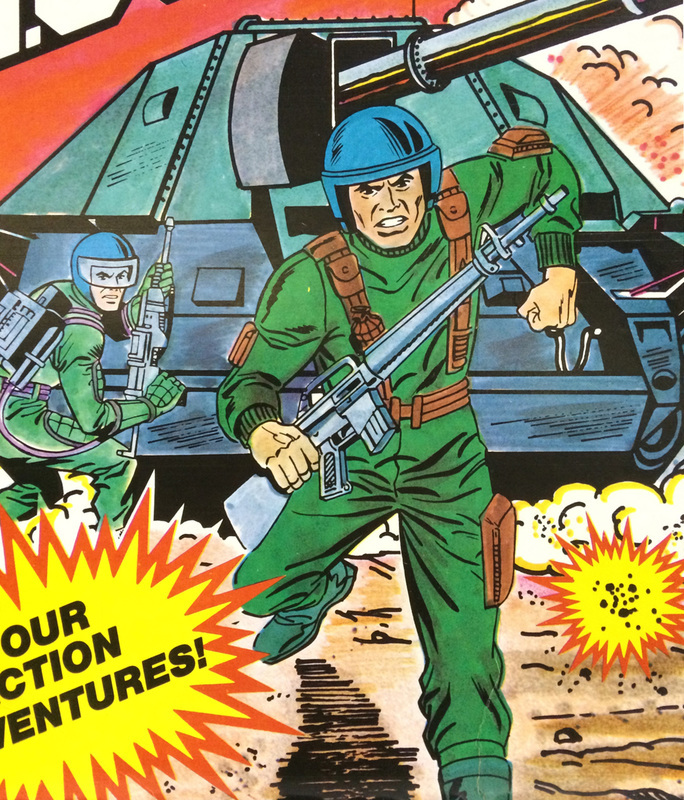 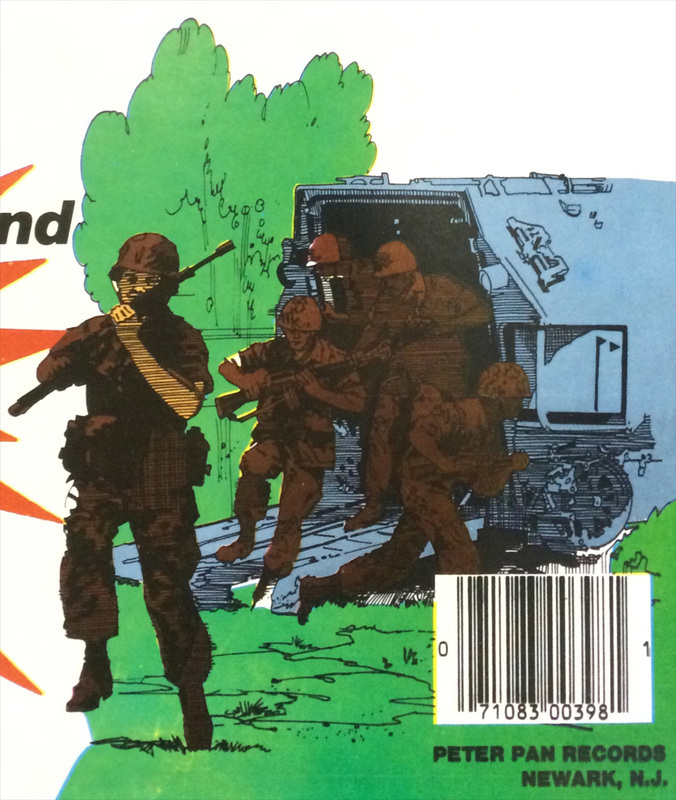 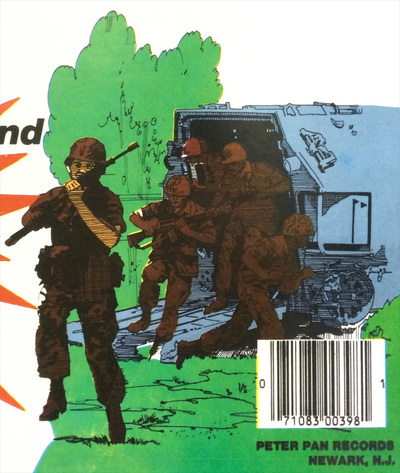 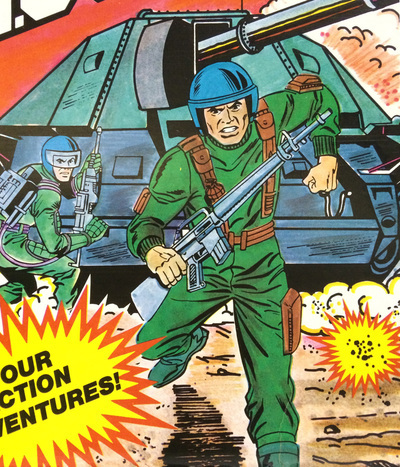 Another interesting aspect of this piece is that it features four stories from the previous 12" iteration of G.I.Joe! Side 1 features The Secret of the Mummy's Tomb and The Secret Mission to Spy Island. Side 2 features The Rescue from Adventure Team Headquarters and The Search for the Stolen Idol.